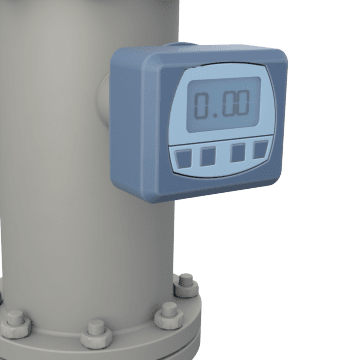 Accurately measure liquid flow rate and quantity in a pipe with these combination flowmeter/totalizers. 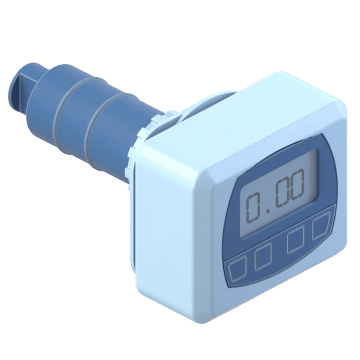 Commonly used in process flow, water treatment, and filtration system applications, the totalizer function tracks the amount of material flowing through your system, gauging overall material usage. This helps to reduce waste and overall facility costs. The flowmeter measures how fast the material is flowing, alerting you to potential system issues, such as clogs. Flowmeters are also known as flow gauges, liquid meters, and flow indicators. Monitor liquid flow rate and totalized flow volume simultaneously with these battery-powered units. 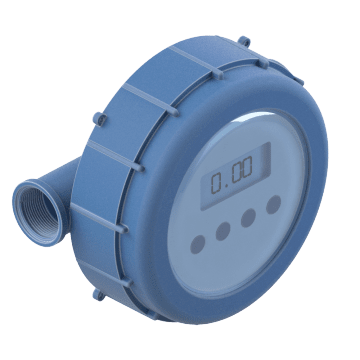 Designed to sit on top of pipes, they feature digital displays for easy reading. Mounting kits are required for installation. Designed to withstand harsh environments, these rugged units feature compact, corrosion-resistant bodies. Installed inline in piping systems, they're great for use in areas where top-of-pipe installation is impractical.